WICKHAM’S CAY II, Tortola, VI- During the Rotary Club of Tortola's Fiftieth Anniversary celebration on Sunday, February 18, 2018 at Charlie's Restaurant located at The Moorings on Wickham's Cay II, Tortola, five Rotarians were honoured for the tremendous work they have contributed within the organisation and the community during the 50 years. The five Rotarians honoured were: Hon Ralph T. O’Neal OBE, Neville C. Westwood, Roosevelt Smith, Clarence C. Thomas and Bengt Nygren. 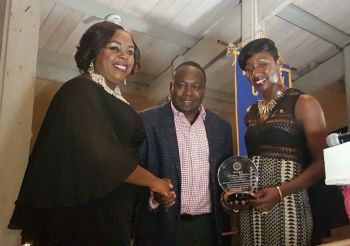 Former Premier of the Virgin Islands, Hon O'Neal is a founding member of the Rotary Club of Tortola and devoted his life to the mantra of ‘Service above Self’ by serving his electoral district, his country and the Virgin Islands (VI) community. His daughter Abby O’Neal accepted the award on his behalf. The next honouree was Neville C. Westwood who was also another founding member of the Rotary Club of Tortola and founding partner of the largest law firm in the Virgin Islands, Harney Westwood & Riegels. Vivian Westwood, daughter of Mr Westwood, accepted the award on his behalf. 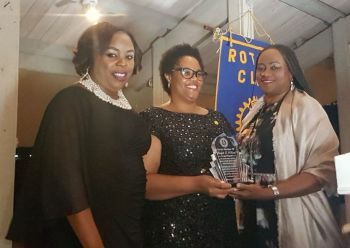 Roosevelt Smith has been a Rotarian for many years and has given generously to the VI community and has led by example as a contractor and businessman. “I would like to say thanks for this award and it is something special to me. I will continue to give service above self to my club and make it better for years to come,” expressed Mr Smith. Clarence C. Thomas was fully devoted to the Rotary Club of Tortola and fully participated in the works of the club. Bengt Nygren lived in the VI for 35 years and devoted his time and money within the VI community in many areas especially in the areas of health and education. 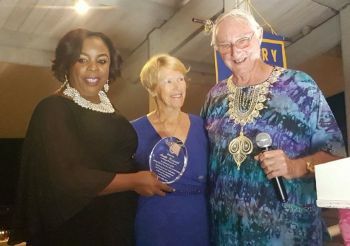 Mrs Lorna G. Smith OBE, First Lady and Past Rotary President, during remarks about the honouree stated that Rotarian Nygren gave donations privately and also created a scholarship fund for students who were not born in the VI. In addition, Mr Bengt Nygren assisted with the roofing programme following the hurricanes of September 2017 that allowed many persons to replace their roofs. 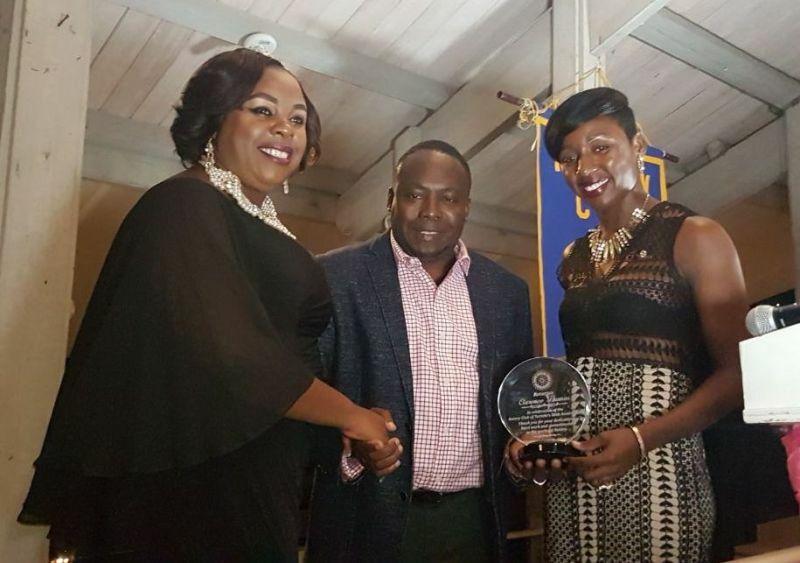 Accepting the award of his behalf was Past Assistant Governor of the Rotary Club of Tortola and good friend, Audley Maduro. Hon. Ralph should be Knighted and Mr. Thomas should be awarded an OBE for their Stella service to their Country. You see this is what is wrong with this country for people like you who have negative and wrong philosophies. I agree Mr Thomas should be given an OBE a long time ago but it proves that those awards almost always go to people who have friends to push for them and not those who are deserving for making the BVI a better place. As far as Ralph Oneal getting a night hood is purely nonsense for what helping to put us in the state we are currently in. This financial mess did not just start with the NDP who made it worst. It began with the VIP years ago in their term in 1999 - 2002 term under his leadership then came the spending of the hospital and greenhouse in 2007 - 2011. If things is to get better in this country we have to wakeup and think realistically.